A wicked voice in my head tells me I am being lazy when I am sitting still for a bit too long, sans activity, project, adventure, or even a book. When I travel, I feel as though I should take advantage of every moment. 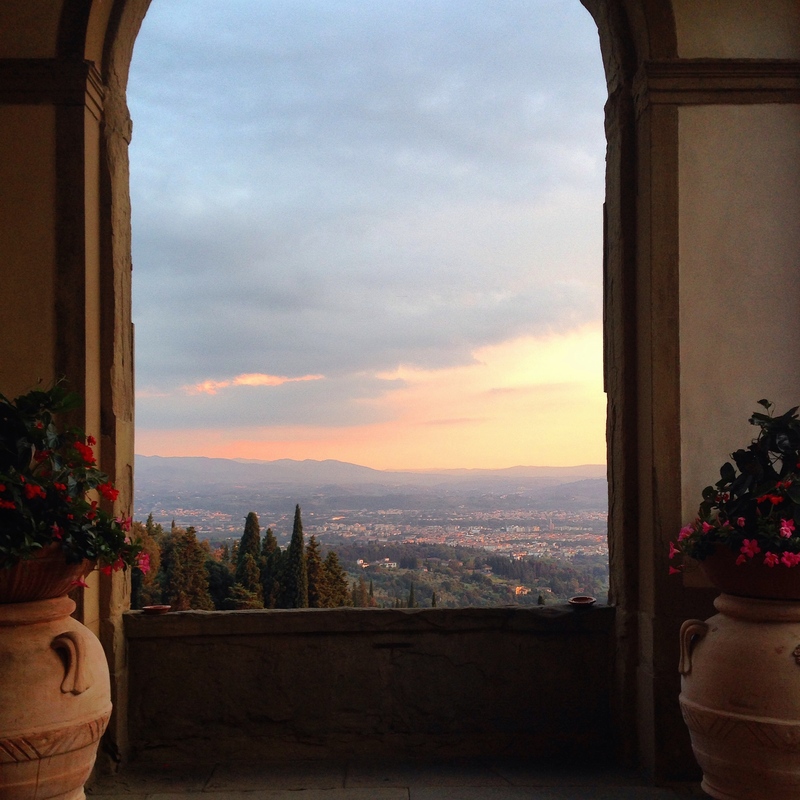 There must be something in the air at Belmond Villa San Michele, high up in the hills overlooking Florence, because I finally feel quite content to sit still, to slow the constant motion, and to allow the scents and sounds to simmer my adrenaline. 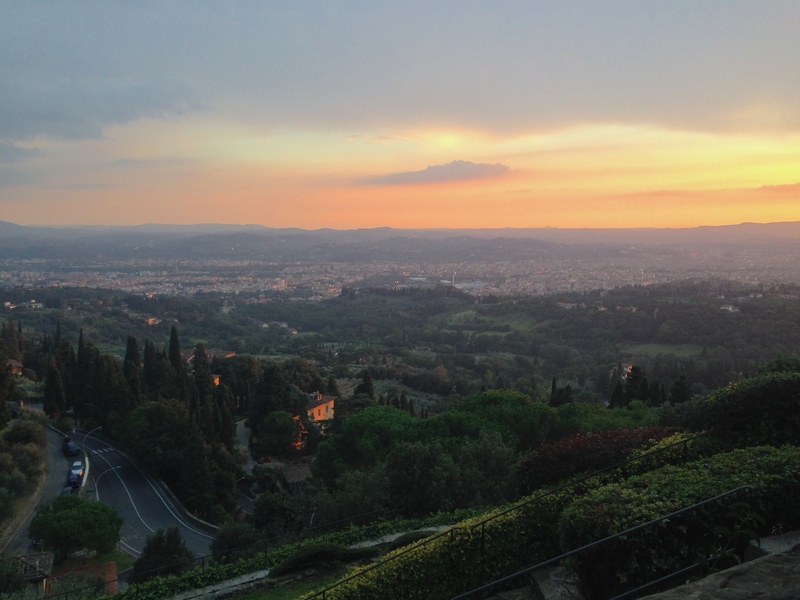 On this trip, I avow to lose track of time in a custom-designed lounge chair on the grassy eaves of Fiesole, listening to the quiet but spirited hum of my surroundings. 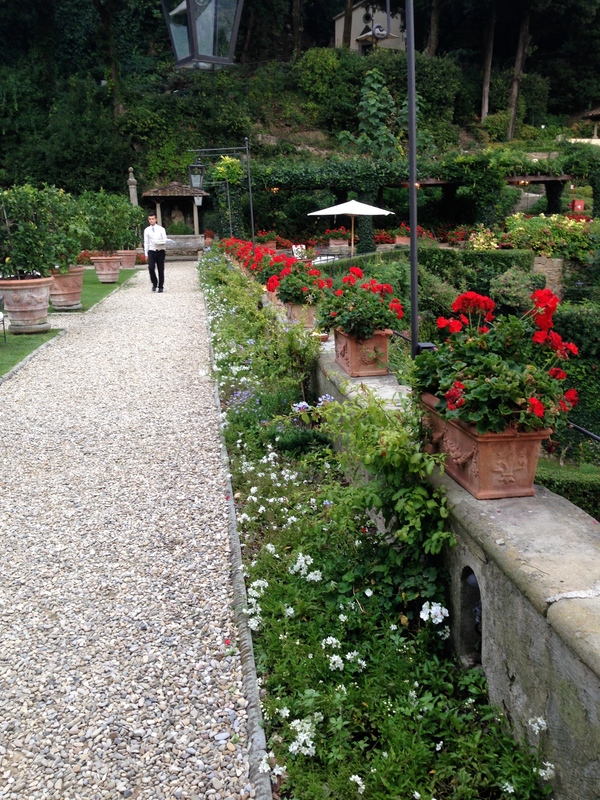 I hear footsteps on white pebbles, leaves of lemon trees blowing, a match being lit for candles overlooking cypresses. 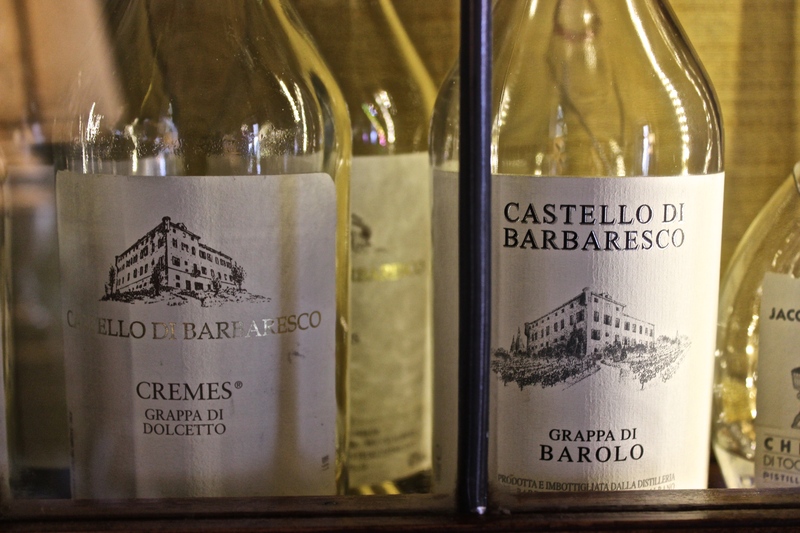 I hear a shaker in the works, a man laughing deep from his belly, a bottle of wine being corked. 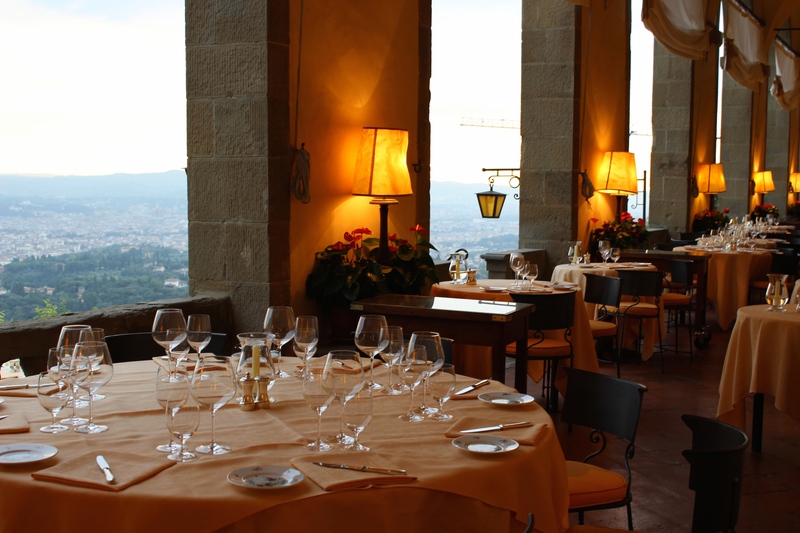 While guests sip cocktails and nibble on Tuscan olives and hazelnuts, a cream-jacketed staff member lights candles on the stone wall overlooking Florence, each flame perfectly equidistant between terra-cotta pots planted with vibrant red fiori. The flames resemble fairy-tale lights as they sway this way and that in the evening breeze. Others amble alongside the stone wall, gazing out and away with upturned lips, as if nothing in the world could tumble them out of such a state of intangible serenity. Certo, this bliss is easily attributed to the view, the aura, the ways in which the property placidly appeals to all five senses, but as I sit there on that lawn, in my own illusory state, I secretly wonder if there is something chemical going on here. If so, I wonder if I can take it back to frenetic New York. Perhaps the Florentines sell it at the Farmaceutica di Santa Maria Novella in the city center..
Back to reality, or this quixotic version of it at least. 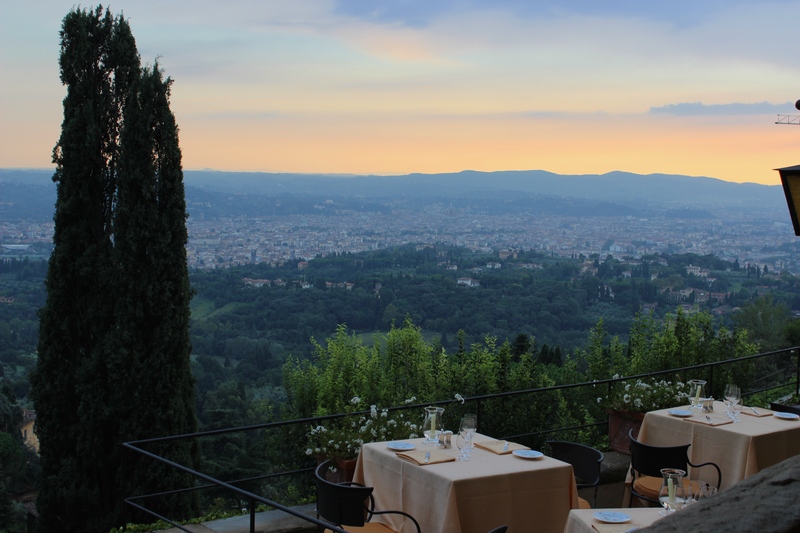 Here in utopia, each terraced vantage point is more sublime than the next, but the most popular spot for a sundowner is within earshot of the barman. 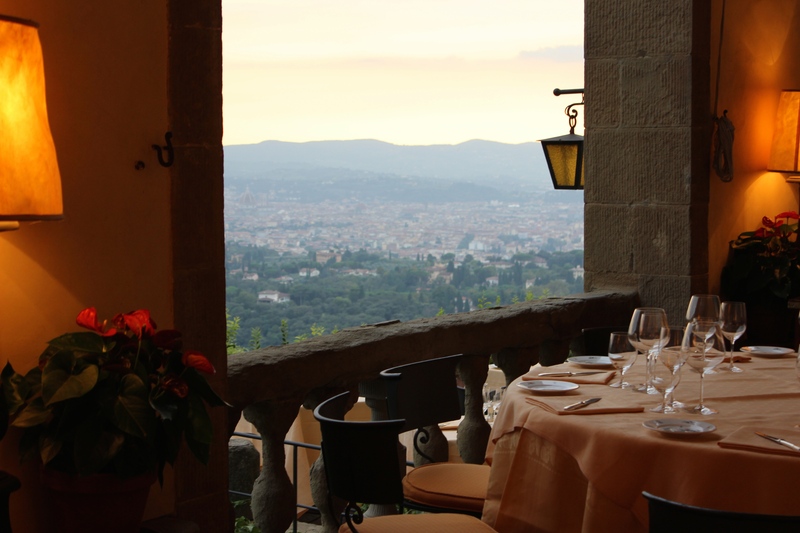 Behind his low, dark-wood table beneath the fifteenth century eaves of La Loggia, he effortlessly creates Italian classics. Guests begin to congregate at the first signs of fading light. In early September, the sky is painterly; streaks of violet, orange, and pink make for starry eyes. The piano man is at his perch, and the aperol is front and center. 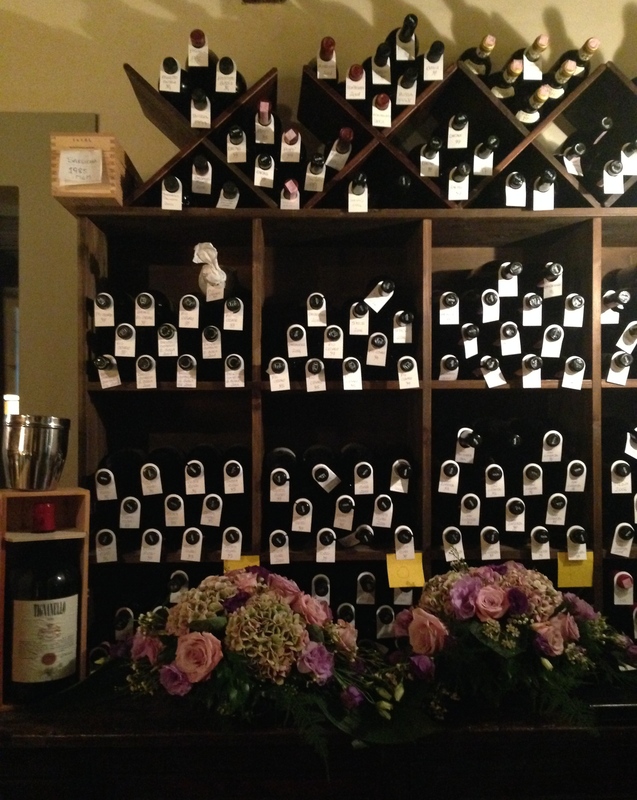 The wine list is a mere 36 pages long, and is cleverly organized by red and white, by light, medium, and well-structured, by region, and a few other essential categories. 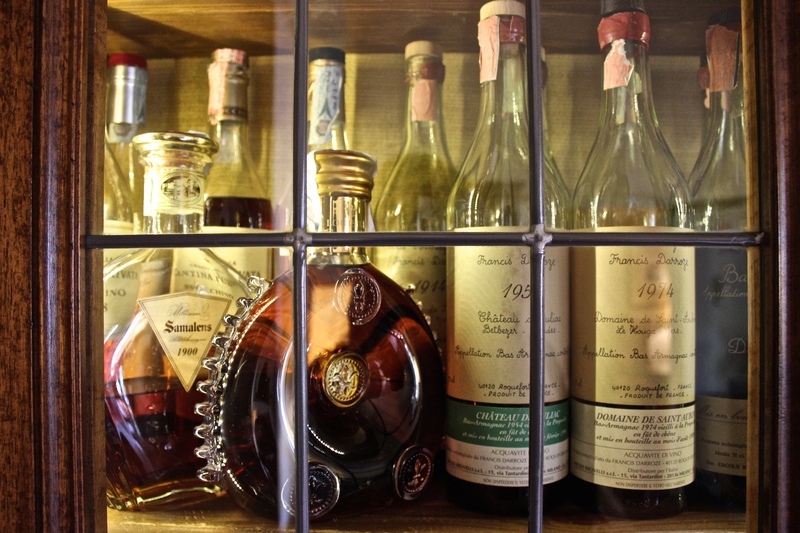 After dinner, step through to the sitting rooms and have a peek inside the antique armoires: rare and delicate cognacs, grappas, amaro, and endless other refined digestifs wait their turn. In the late hours, the ambiance beneath the arches is every bit as elegant as it was hours ago, if only a streak more hazy. There is no rush; I am here to see the moment out, to eschew its finiteness. At least I can accomplish that. Ecco, I am being productive. 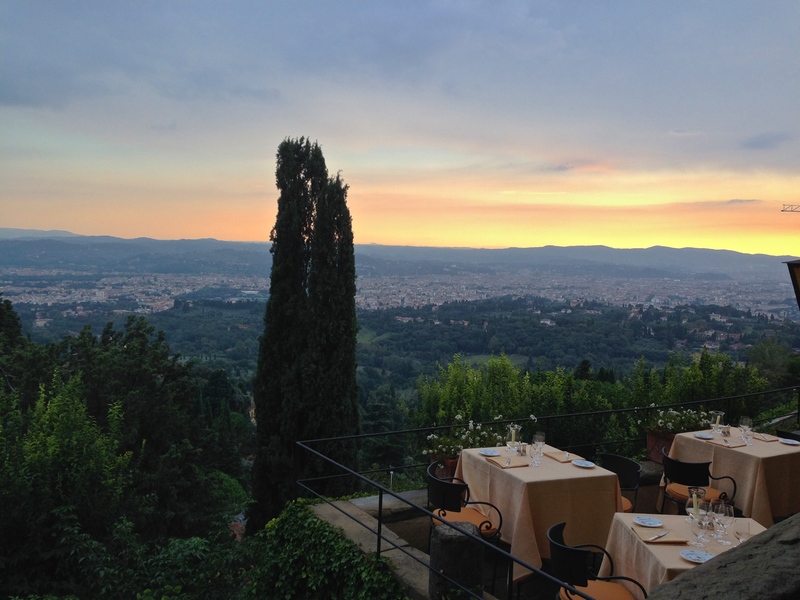 Dinner with a view at La Loggia. A cream-jacketed staff member lights candles between terra-cotta pots. 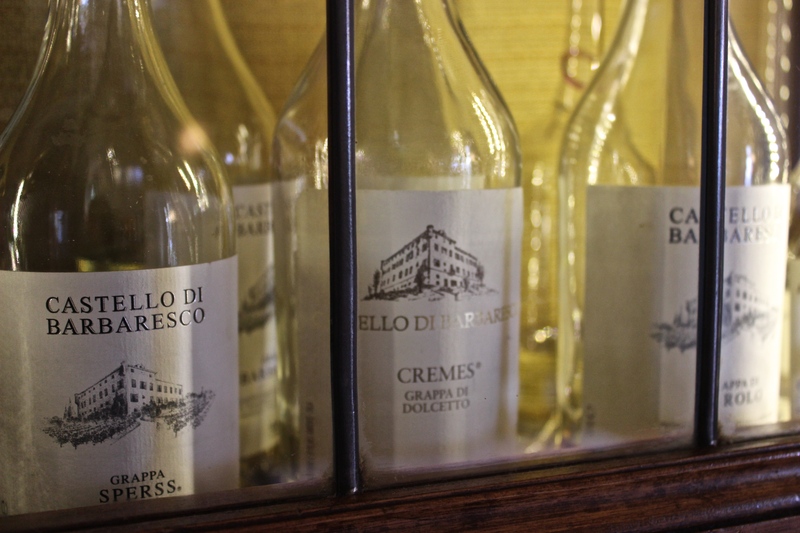 Vintage bottle holders for a few Tuscan favorites.